Brazil is known more for its tobacco production than it is for cigar production. Alot of cigars produced from other nations contain brazilian tobacco. The country has not really ever been known to be a great cigar producing nation. 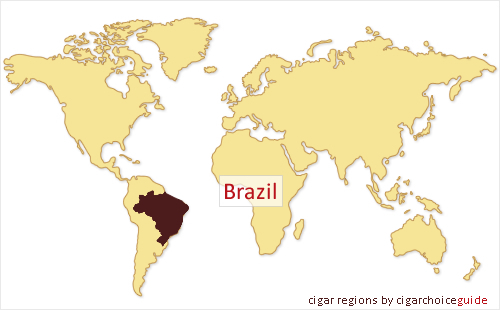 Brazil is slowly rising in popularity in the cigar world. It is slowly managing to convince the world that the quality of its cigars is on a par with the quality of its tobacco.